When I searched for my first apartment, I considered myself lucky when I found a dream dwelling right away! The walls were painted a deep olive green, granite countertops in the kitchen and I had my own bathroom, which is a big deal if you have a roommate. To make it even better, it was in a great location, and close to my job at the time. Before the landlord could even ask, I signed a year lease with my best friend. All seemed well, until small fees started popping up on the contract and the rules of the property got longer and longer. That’s when I thought to myself, maybe I should have looked more into this renting thing before signing off my hard earned money for a whole year. Will the maintenance workers enter your apartment without notice? Because you don’t own the apartment, some landlords have very loose rules on whether their employees have to tell you when they’re stopping by. Make sure your landlord will give you a heads up before someone enters your apartment. Find out if you can sublet the apartment, or what the penalty is for breaking your lease. Life’s full of surprises, and you may run into a situation where you need to move ASAP. Some apartments are strictly against subletting, and it could be a serious breach of your contract. If you leave on bad terms, this could mean you just lost a future rental reference. What utilities are included in the rent? This could make or break your decision on your ‘dream’ apartment. Renters are usually left to pay electric, gas, internet and cable – but it’s different at every complex. Does the landlord require you to obtain renters insurance? Your landlord should tell you before you sign the lease whether they require you to have this. 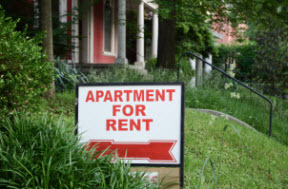 Renters insurance is important to have even if the landlord doesn’t require it. What is the parking situation? This is another big one. Find out if it’s included in your rent or not. If parking isn’t provided, what are the alternatives? Finally, don’t be overwhelmed. Enjoy the apartment hunting adventure and do your research before signing.